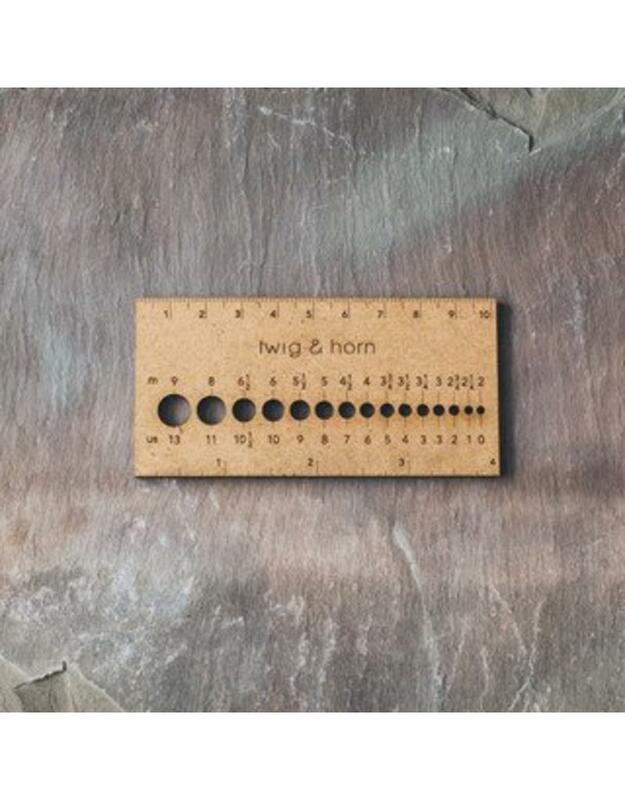 A new option from Twig & Horn: Small Gauge Rulers are great for tight spaces and packing light, and a handy accompaniment to the larger Square Gauge Ruler (pictured in second and fifth images). 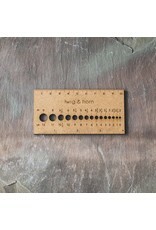 Each ruler is long enough to measure a 4" or 10 cm swatch, and built with a needle gauge in US and metric sizes from 0 - 13 US [2 - 9 mm]. Made with high-quality 100% recycled/recovered, FSC certified wood content MDF board.